I don't often speak about my family on here but my little brother plays a lot of music, and one of his instruments is guitar. I wanted to buy him something for his guitar which was personal, good quality but not too expensive. As those of you who play instruments know, this isn't easy as accessories can be so expensive and if they're cheap then they aren't great quality. I decided that I wanted to buy him some personalised guitar picks. 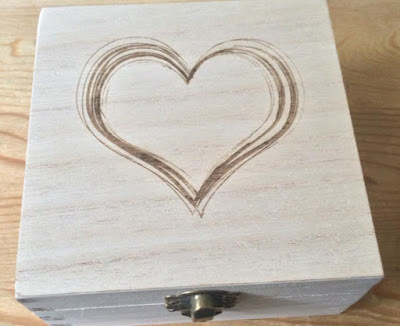 I ordered 2 wooden ones from Red Dot Designs with his name on them. One is shiny and one is matte - they're so gorgeous! The engraving is beautiful and done so neatly, the picks are great quality too. 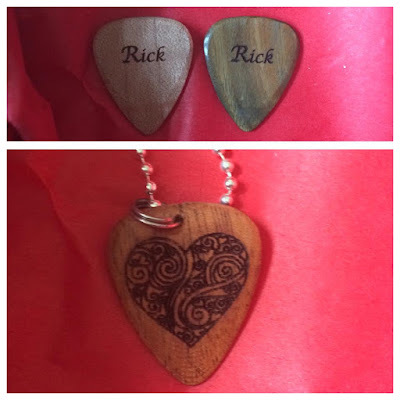 Me and Nim from Red Dot got talking about my blog and they included a gorgeous guitar pick necklace for me with an intricate heart design as well as a beautiful wooden trinket box. The quality of these items really is amazing and they're so pretty. Definitely check out The Red Dot Stop on Etsy for great quality custom guitar picks. They are able to engrave whatever you like on to wooden or stainless steel picks.